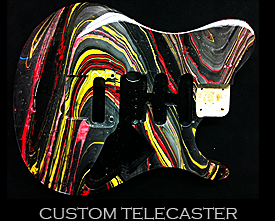 Below you’ll see some examples of the different types of swirl guitar finishes we have done on. 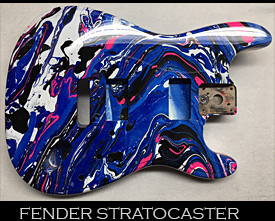 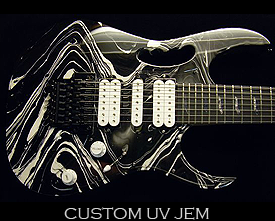 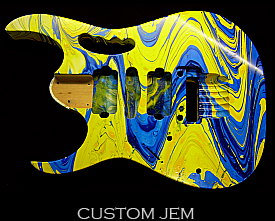 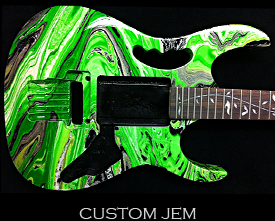 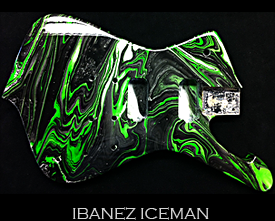 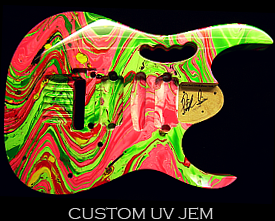 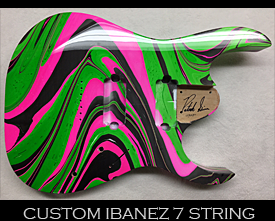 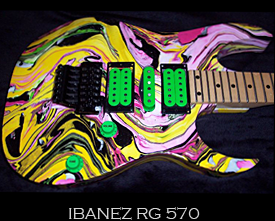 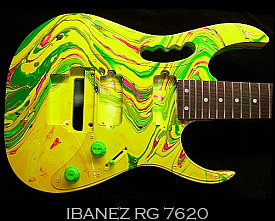 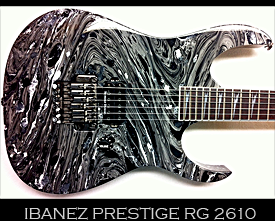 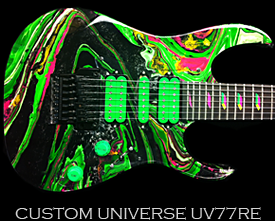 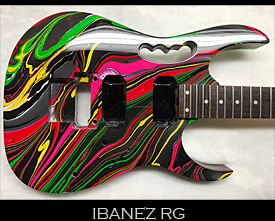 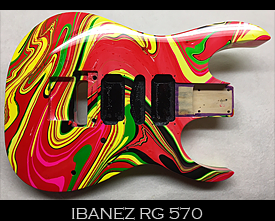 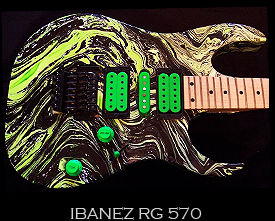 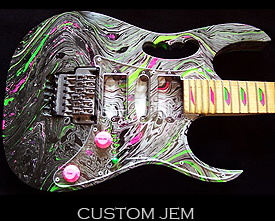 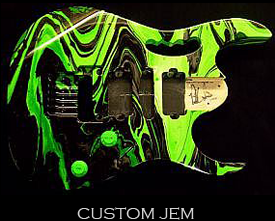 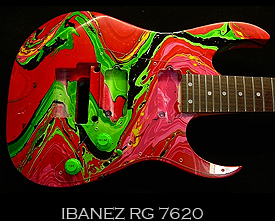 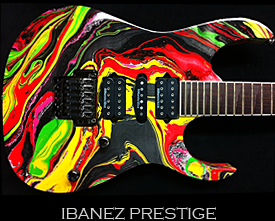 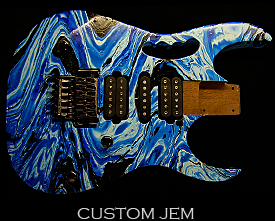 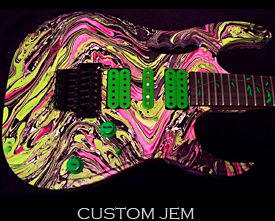 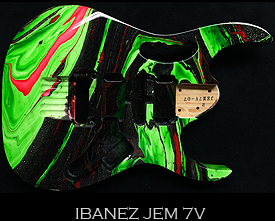 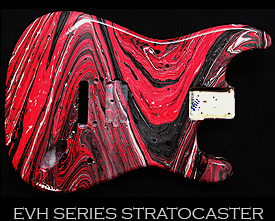 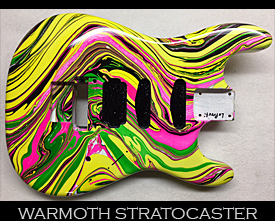 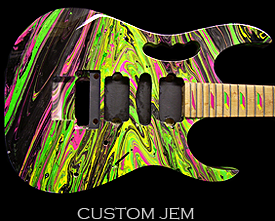 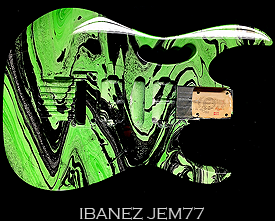 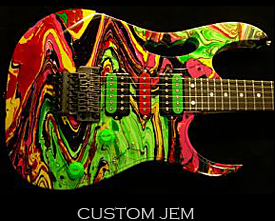 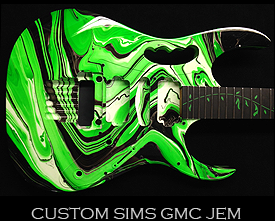 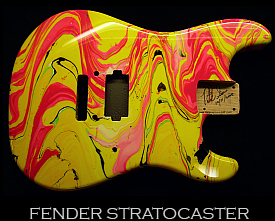 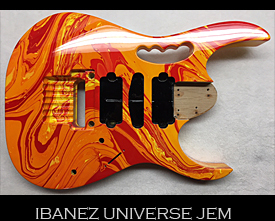 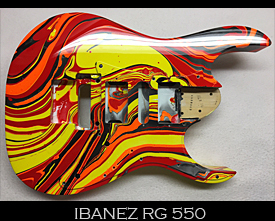 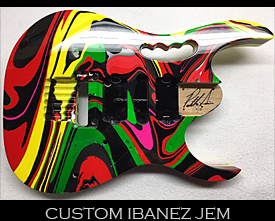 Since swirl paint jobs can never be duplicated it leaves your instrument with a truly One-of-a-Kind paint job! 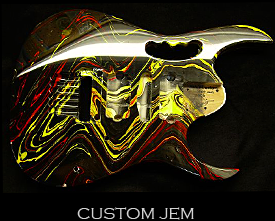 We can do them in virtually any color combination. 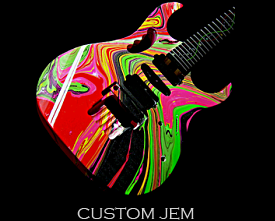 If you don’t see the type of swirl your looking for below please contact us, chances are we can do it!